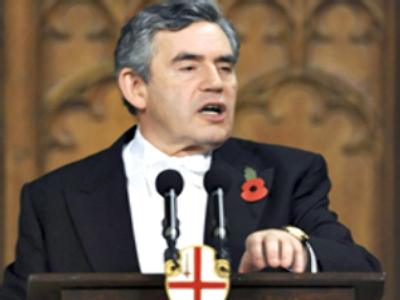 Did PM Brown save British banks? Only months after damning British Prime Minister Gordon Brown for economic incompetence, the British press is presenting him as the saviour of the western world, or at least the western economic system. British television company Channel Four hailed Brown a superhero, albeit with a question mark. It linked to articles in the foreign press suggesting Brown should be the winner of this month's Nobel Prize awards. Channel Four: 'Superhero' Brown to the rescue? It's not clear what's led the British press to this outbreak of patriotic fervour – why the change of heart on a politician they've attacked consistently for the past year? The reality is that the bank nationalisation plan is not British – it is a rehash of a Swedish bank rescue from decades past and was variously proposed by Germany's Angela Merkel, by the French and the Dutch (at which point Britain rejected the plan) before Britain's Financial Services Authority came up with just such a bank rescue. Only at that point did Britain's prime minister claim ownership of the idea. Sadly the bank bailout is not the recipe for success that people wish it to be. Prominent British monetarist economist Tim Congdon says a behind-the-scenes rescue by the Bank of England would have been better, but was blocked by the British authorities. Nationalising the banks ensures that no private investor will risk putting their money into British banks, where it could be seized by the government. And the track record of Britain's nationalised companies does not inspire hopes of competent management. 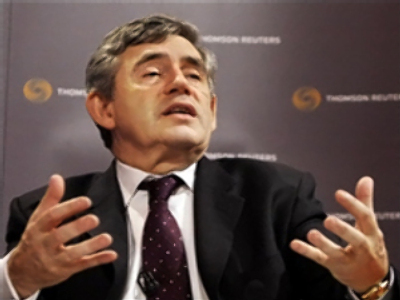 It seems unlikely that Gordon Brown's leadership of the western financial system will last until his re-election campaign in 2010.